Rustic dances, quivering chords and metallic bass lines transform into lyrical lines, which are in turn interwoven, underpinned and saturated by rough, even abrasive textures. 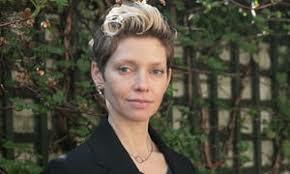 Such is the music of Britain’s superstar composer Tansy Davies. Described by The Timesas “music of grit and wit”, Aventa presents the Canadian premieres of two of her most celebrated works – Aquaticfor percussion and English horn and the tour-de-force work for ensemble, Falling Angel.